Join Narayani Noelle for Slow Tribal Flow Yoga–an all-levels, full-body Vinyasa class. Noelle will guide you through movement suggestions to groovy live drums, but you’ll be invited to move in any way that you feel inspired. 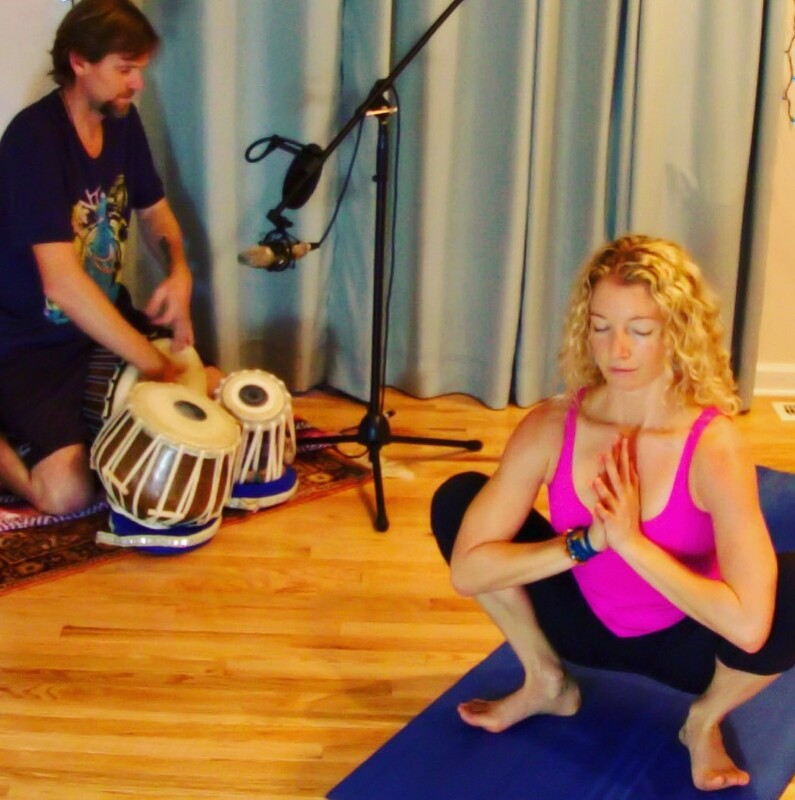 The class will begin and end with mantra meditation with the harmonium, and will conclude with and extended savasana with live music and light Thai Yoga assists for deep relaxation. All are welcome to explore this life-affirming movement experience. Join Narayani Noelle in a movement meditation based on the rhythms of the Panchamahabhuta- the 5 great elements of nature. This is not your typical dance class and everyone can enjoy, regardless of skill level or experience. You’ll be invited to follow movement exercises but encouraged to follow your own heart as your body and mind respond to the music. A Kirtan- call and response mantra music meditaton- will follow. This is a joyful, life-affirming practice not to be missed. Children are welcome. If you can talk, you can sing! If you can walk, you can dance!